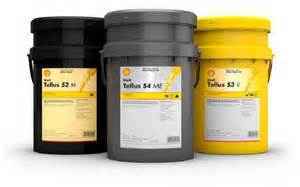 Ever thought about your hydraulic fluid or do you just think… the cheaper the better! Wrong. Cheaper is not better and will actually cost you much more in the long run. Think COST vs. PRICE of using this product. Premium hydraulic fluids won’t breakdown as easily under heat and prevent deposits from forming. It’s all about PROTECTING YOUR INVESTMENT! Call your LYNCH OIL REPRESENTATIVE TODAY to start better protecting your equipment. There are many differences in hydraulic oil: Biodegradable, Dielectric, Ashless, 2000 Hour, and 5000 Hour oil. The AVERAGE oil and the GREAT oil can be measured by the price to buy and the cost to use the oil given the severity of the application. The gauge used to measure the quality of Hydraulic Oil is the Viscosity Index Improver or “VI Improver”. The higher the number, the better the oil. Average oil has a VI between 70 and 80. A better oil has a VI between 95 and 105. The BEST will have a VI of 140 plus. The higher the VI number the higher the ‘TOST,” Turbine Oxidation Stability Test, value will be reported. The TOST number indicates the oil has been tested and qualified as a 2000 hour or 5000 hour oil. DISCLAIMER: The environment the oil operates and is maintained effects the longevity of the oil. What can you find hydraulic oil on? Garbage trucks, earth moving equipment, airplanes, or cranes, for example. CLEANLINESS! You’re probably thinking, “My oil looks clean”. But particles smaller than what’s visible to the human eye could be in there causing major problems. Premium hydraulic oils are superior in water separation, air release, produce less foam, and filterability. All of which are incredibly important when it comes to maintaining the life of your system. Most importantly (in our opinion) is the filterability of your hydraulic oil. Filterability plays a vital role in the efficiency and life of your oil. But what does this mean?? Filterability is a measurement of clean fluid passing through a filter without clogging it. Filterability is all about the additives in your fluid, better additives equals more money. You also need a good filter on your system. You’ll spend $100 to protect a piece of equipment worth hundreds of thousands of dollars. Filter SIZE STANDARD??? Filter micron size, reservoir filters, and beta ratio (formula to calculate filtration efficiency) of each filter application plays a crucial part in lubricant life. 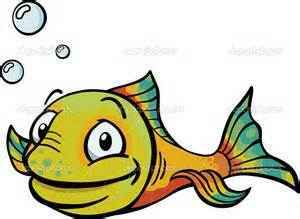 Think about Nemo…. There’s been a big push lately for biodegradable hydraulic oils, especially in Europe. If you’re working around water, most likely, you’ll be needing some of this. Just the other day I was talking to a customer who asked about this type of oil… guess the application. Garbage Trucks! Why you ask? When a hydraulic line breaks in a neighborhood the company doesn’t have to worry about the clean-up of the spill. Where with other hydraulic oils, they need to react immediately causing routes to be delayed and costly clean ups. Currently there are two types of biodegradable hydraulic fluids, vegetable oil based and synthetic. After 28 days, our biodegradable oil (Shell Naturelle) has biodegraded 60%. Call your LYNCH OIL REPRESENTATIVE TO LEARN MORE. Before making a switch to biodegradable, check with your filter company to make sure they are compatible. At the end of the day, it might be cheaper to buy the average hydraulic oil, but is it really costing you less? If you’re noticing hydraulic leaks and system failures, it’s time to make the switch. Let Lynch Oil walk you through the process. We offer the best hydraulic oil out there for your system, biodegradable oils, and hydraulic system oil analysis. Let us help you make the most of your equipment and money.